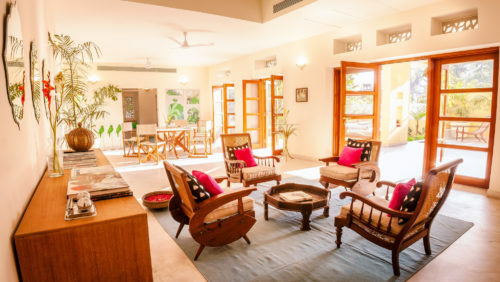 For your next Indian getaway, indulge in a different kind of hospitality experience: book a stay at a family-run guesthouse. 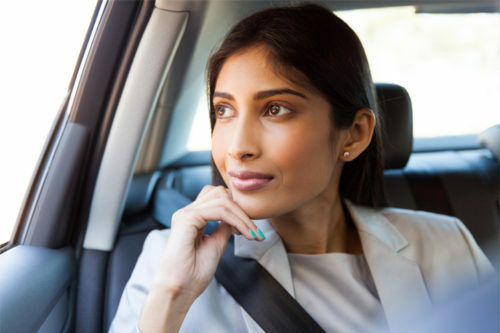 You certainly won’t be making sacrifices where luxury is concerned—many of the best guesthouses in India are renowned for their architectural acumen, abiding privacy and tranquillity, and unparalleled service. But alongside all the high-end amenities you could hope for, family-run guesthouses also offer an intimacy and warmth that’s hard to find elsewhere. From the heights of Sikkim to the backwaters of Kerala, we’ve picked five of the most destination-worthy guesthouse stays to explore now. Looking for the perfect way to experience Rajasthan? Visit its lively cities—but save time for a rural retreat, too. 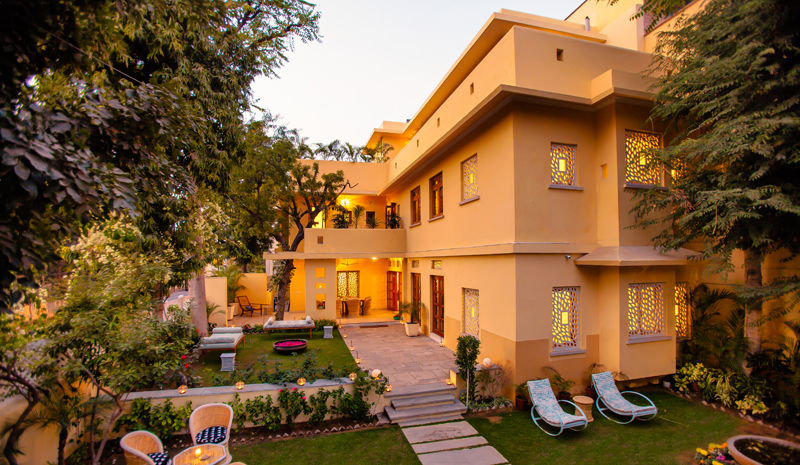 Though Dev Shree is accessibly located between Jodhpur and Udaipur, the family-run guesthouse provides the perfect introduction to the Land of Kings’s more bucolic charms. 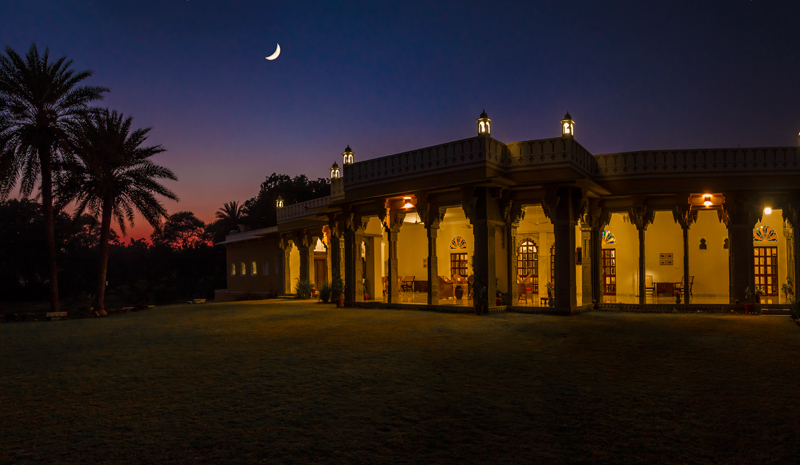 Opened just two years ago by owners Bhavna Kumari and Shatrunjai Singh (and custom-designed by them, too), the haveli-style retreat marries tranquillity, architectural beauty, and an array of special guest activities, including a guided village walk and home-cooked food made using ingredients sourced straight from the guesthouse garden. When in the bustling heart of the Pink City, wend your way to the exquisite 28 Kothi. Though the guesthouse made its debut just last year, it’s already been singled out by the likes of Conde Nast traveler and Elle as one of Rajasthan’s hottest new addresses. It helps that it has Jaipur heritage in its DNA; its owner is Munnu Kasliwal, who is also a jewellery designer at the city’s legendary Gem Palace. In lieu of overstated opulence, however, the hotel’s chic interior is all soothing neutrals and sun-drenched terraces interspersed by eye-catching pops of color. As far as guesthouses in India go, you’d be hard-pressed to find more beautiful environs, or warmer hospitality, than what’s offered at Philipkutty’s Farm. 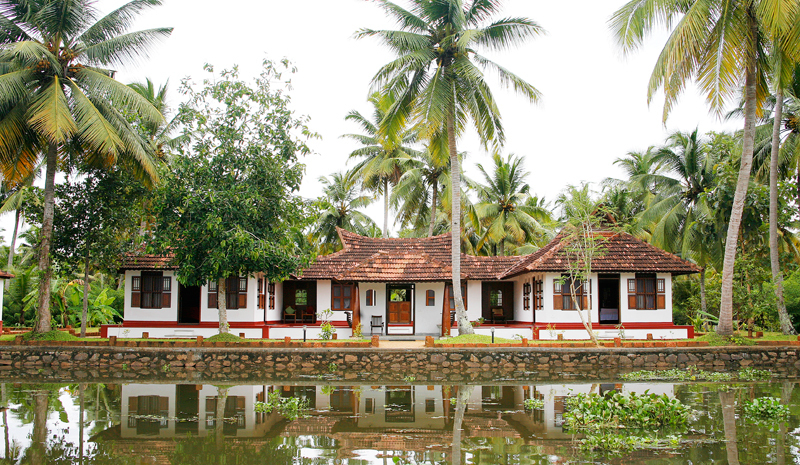 The retreat is located on a bucolic island in Kerala’s backwaters, and comprises a pretty collection of private villas that directly overlook the water. Philipkutty’s Farm profits from its lush setting, and, as its name suggests, even maintains its own organic farm, where delicious coconuts, bananas, and other fruits and vegetables are grown. Meanwhile, the venue’s owners reside in a separate residence on the property, and are on-hand for farm tours, convivial conversations, and travel advice. 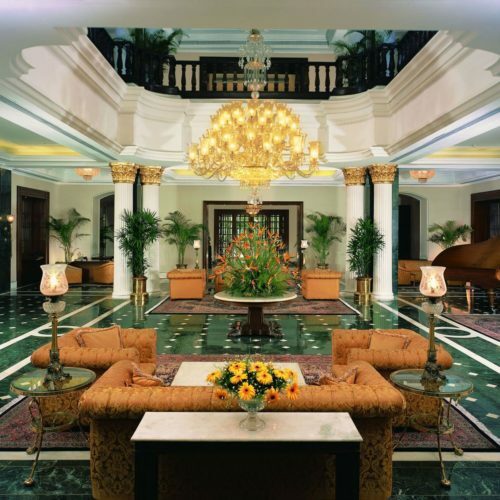 Immerse yourself in the magic of historic Chettinad during a stay at The Bangala. 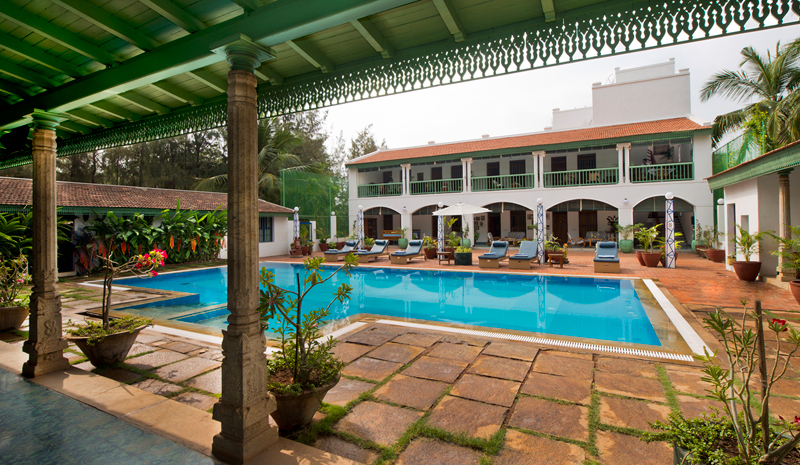 One of the finest guesthouses in India, the heritage retreat has been owned and maintained by the same family for more than a century. In its architecture and its amenities, you’ll discover evidence of a bygone Tamil Nadu, from its verdant gardens and sweeping verandas to its lovely swimming pool—and especially its family-run kitchen, which is a fantastic culinary destination for its authentic Chettiar cuisine. 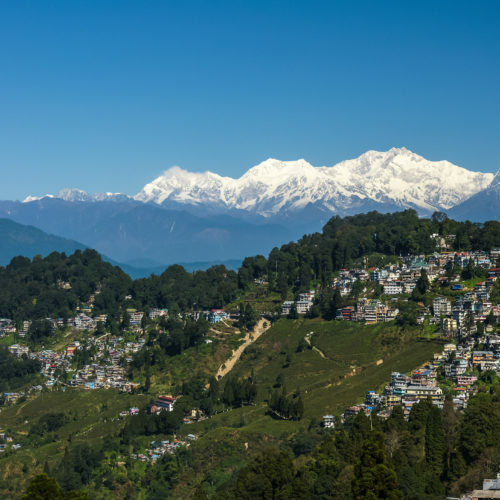 Located in India’s wild northeast, Sikkim is beloved for its dramatic Himalayan scenery. Should you want to plan an intrepid getaway to this beautiful part of the country, make the family-run Hidden Forest Retreat your base. 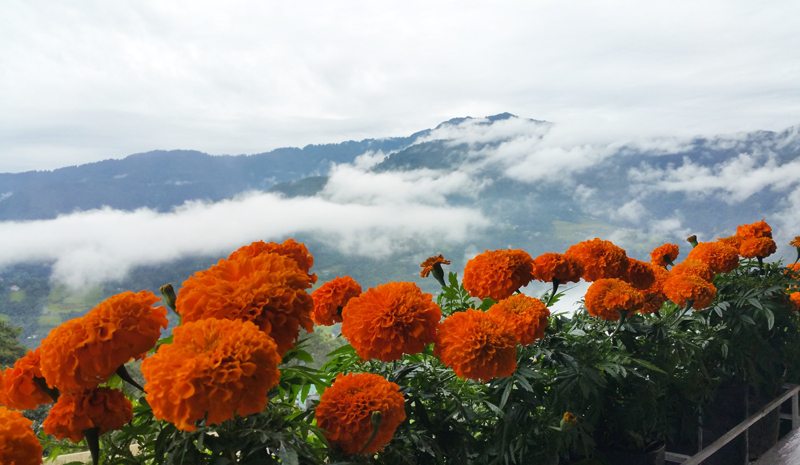 With just 14 rooms, an orchid-filled garden, comfortable accommodation, and its own organic garden, the hilltop guesthouse promises peace and quiet (though its location, just three kilometers from the Gangtok city center, ensures it remains accessible).